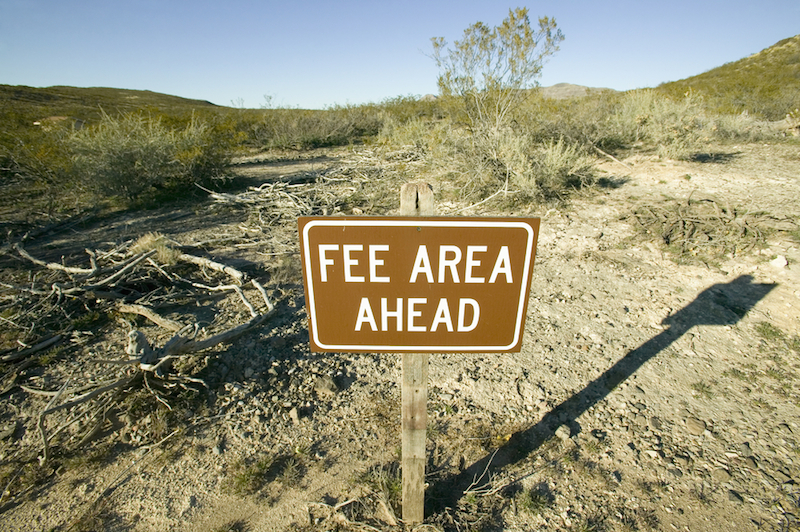 “Fee” may not be a four-letter word, although many people treat it that way. Credit card fees aren’t always bad, but you can usually find a way to keep from paying them. Here’s a rundown of the most common fees and how to avoid them — or perhaps embrace them. An annual fee is — surprise! — a fee you pay annually for the privilege of carrying a credit card. While many cardholders are adamantly opposed to paying fees of any type, this one might actually be worth it. Annual fees are common on travel credit cards, which tend to offer higher signup bonuses and richer rewards than cash-back cards. To decide whether an annual fee is worth it, you’ll have to do the math. Based on your spending, would you earn enough in rewards each year to outweigh the annual fee? Would you earn enough extra that you’d beat the rewards you could get with a cash-back card? If so, don’t let the word “fee” throw you. A balance transfer fee is charged when you move debt from one credit card to another. The typical fee is 3% to 5% of the amount transferred. Many cards offer 0% interest on balance transfers for a year or more, but you have to decide whether the interest savings will make up for the transfer fee. Some credit cards don’t charge a fee for balance transfers in certain circumstances. The Barclaycard Ring® Mastercard® for example: Promotional Balance Transfers that post to your account within 45 days of account opening: Either $5 or 2% of the amount of each transfer, whichever is greater. For Balance Transfers that post to your account at a non-promotional APR after 45 days of account opening: $0. And it offers 0% on Balance Transfers for 15 months on balance transfers made within 45 days of account opening, and then the ongoing APR of 14.24% Variable APR. You pay a cash advance fee when you borrowing cash against your credit card. Many cards charge a cash advance fee of 2% to 5% of the amount borrowed. But a cash advance costs more than that after all is said and done. ATM fees may apply, and many cards charge higher interest rates on advances than on purchases. The best option when you need cash in an emergency is to pull it from savings. Aim to have an emergency fund with enough money to cover three to 12 months’ worth of expenses. A finance charge is the interest that accrues on the balance you carry on your credit card. There’s an easy way to avoid finance charges: Pay your balance in full each month, and you’ll never pay a penny in interest. If you just can’t help carrying a balance, then you should aim to minimize your interest charges by using a low-interest credit card rather than a rewards card. Rewards credit cards tend to have higher APRs, and the interest you accrue will erase much (or all) of the value of your rewards. A foreign transaction fee is a charge of 1% to 3% added onto purchases made outside the U.S. While many cards charge this fee, most travel credit cards do not. And Discover and Capital One don’t charge it on any of their cards. A late payment fee is charged when you don’t make at least the minimum payment by the due date. The amount varies by card, but this fee can be easily avoided by enrolling in auto-pay. You can usually do this by going to your account online. Some credit cards don’t charge late fees — such as the Citi Simplicity® Card - No Late Fees Ever — but paying late is a terrible habit to get into. If you’re more than 30 days late, it can hurt your credit score. An over-limit fee is charged when your card’s balance exceeds your credit limit. The Credit Card Act of 2009 prohibits issuers from automatically enrolling cardholders in programs that cover them when they exceed their limit, thus triggering an over-the-limit fee. Cardholders may opt in to the fee to keep transactions from being rejected at the register. If you do opt in, the simplest way to avoid the fee is to stay well under your credit limit. If you’re constantly on the verge of maxing out your card, that points to a problem with spending. A returned payment fee is charged when your check to the credit card company bounces, or an automatic payment out of your bank account is blocked for insufficient funds. This fee will vary by card, but around $35 is common. Make sure you have the money in your account before writing that check or clicking that “Pay Bill” button on your credit card’s online portal. This article has been updated. It originally published July 15, 2014.